Later this week, a giant flying cucumber will be floating above San Francisco. The massive dirigible’s flight path will take it across the Golden Gate skies Thursday evening. We’ll be covering it from the top of a building – hopefully the fog will allow for a few photos! The Flying Cucumber launches with a coast-to-coast trip from April to August, flying overhead Los Angeles, San Francisco, Austin, Dallas, South Florida, New Jersey, New York, Philadelphia, Boston, Ann Arbor, Indianapolis, and Chicago. Win a Ride Aboard the Airship (or other fun prizes)! 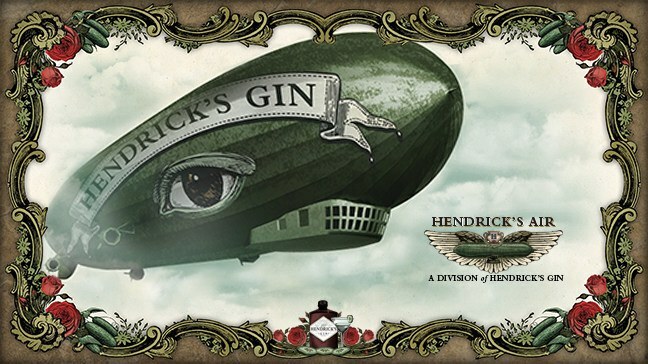 For a chance to win a ride aboard the airship, just snap a photo of the Flying Cucumber as it soars overhead and post it onto Twitter or Instagram using #HendricksGin & #CucumberChallenge. Don’t worry, if you unfortunately reside outside of the cucumber’s flight path, you can still enter to win a boggling array of other prizes by photographing any “unusual place” and posting it using the same hashtags! Follow the misadventures and triumphs of Hendrick’s Air at HendricksAir.com, on Twitter @HendricksGin, on Instagram @HendricksGin, or on Facebook @HendricksGin (or check out the hashtags #FlyingCucumber & #HendricksGin).